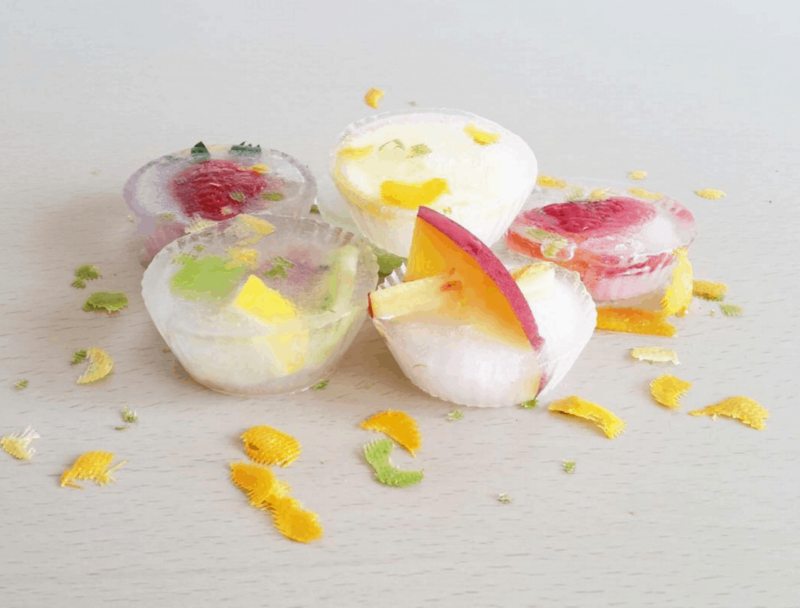 Are you looking for a little something extra to add to your summer get together that will wow your guests but not take up a lot of your time? 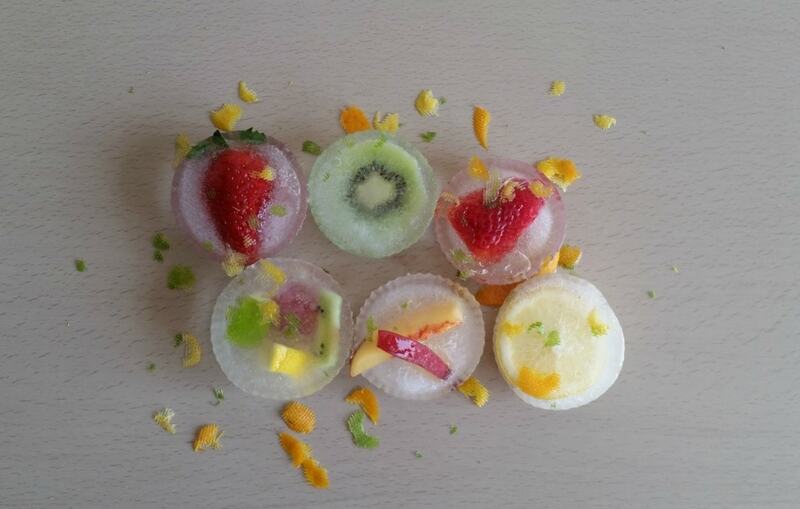 How about frozen fruit ice cubes? 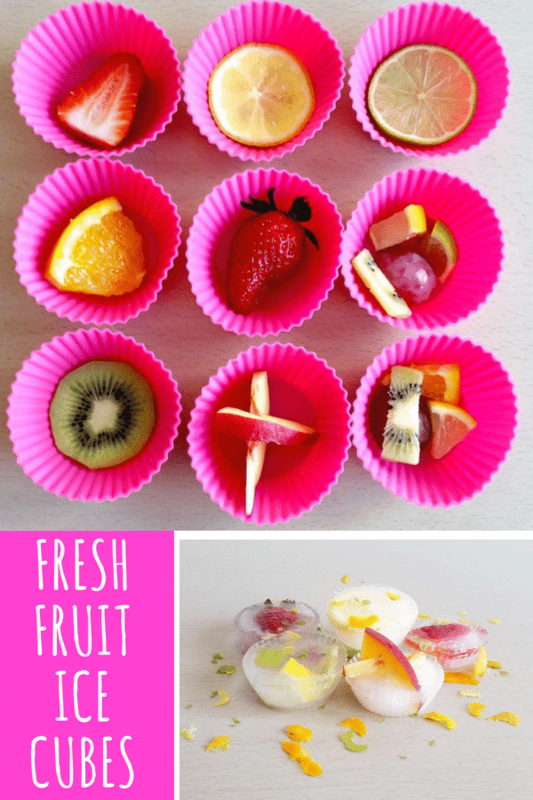 They are so EASY TO MAKE but they provide the huge WOW factor that a hostess is looking for! 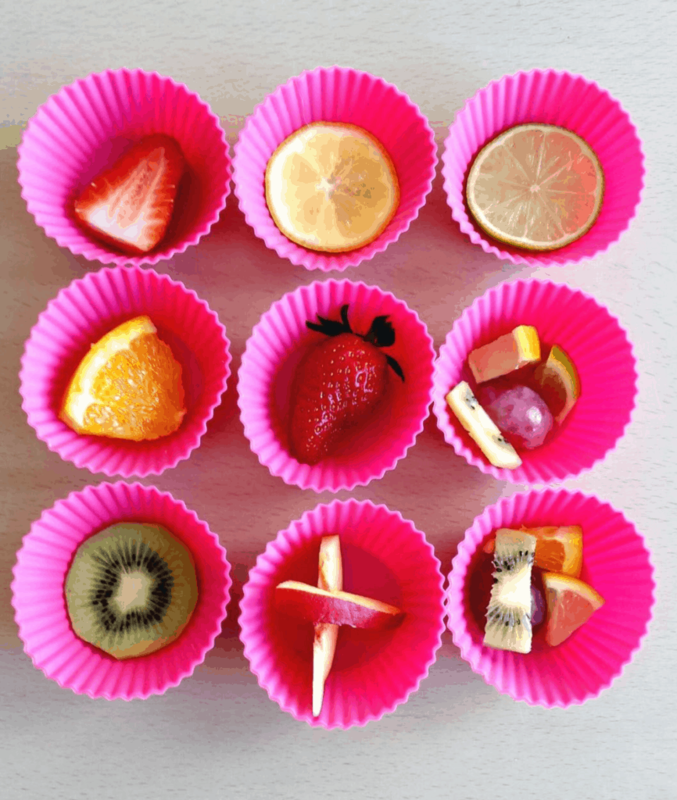 Simply cut up some fruit (think peaches, strawberries, grapes, oranges, limes , lemons and kiwis) and add them to cupcake silicone molds. Place on baking sheet, top with water and then freeze. 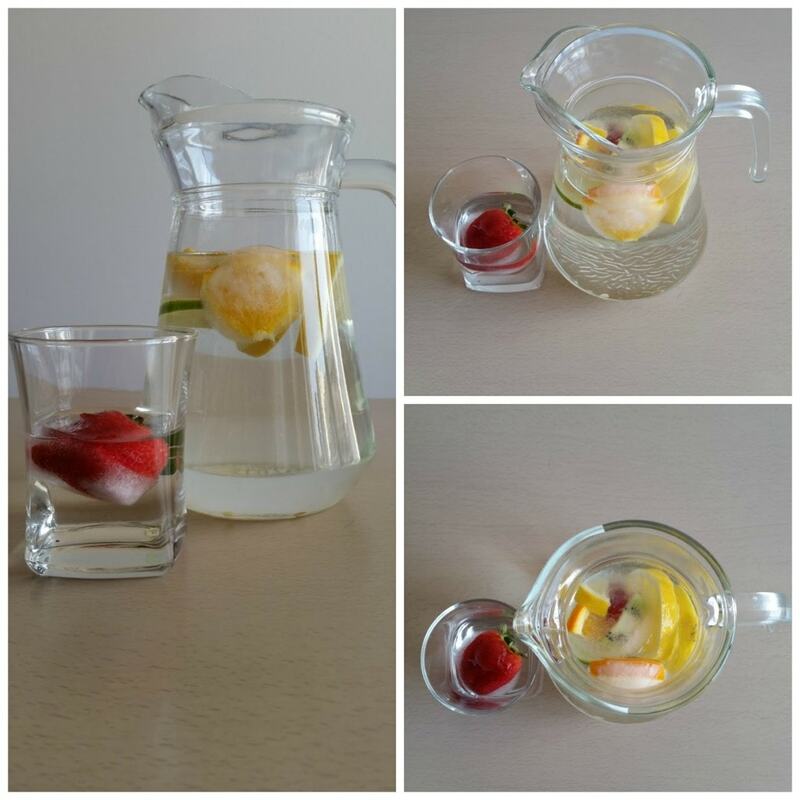 Add your frozen fruit cubes to a clear pitcher and enjoy! 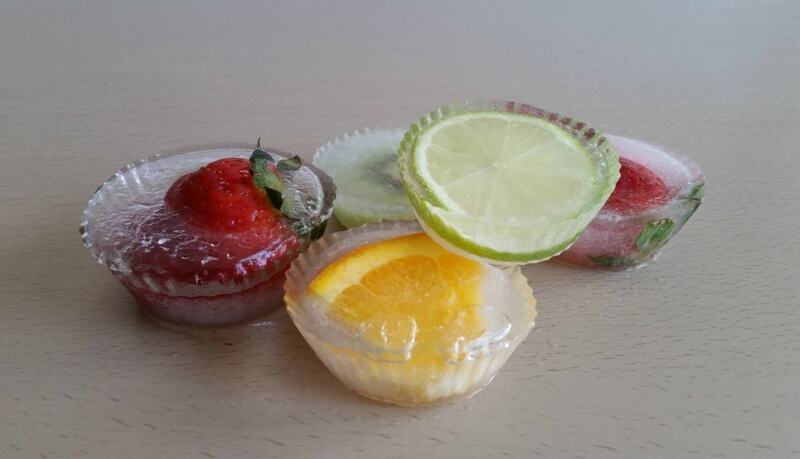 Once they melt, you can even eat the fruit. So fun! Do you have any easy summer hostess tips that you’d like to share?! Would love to hear!